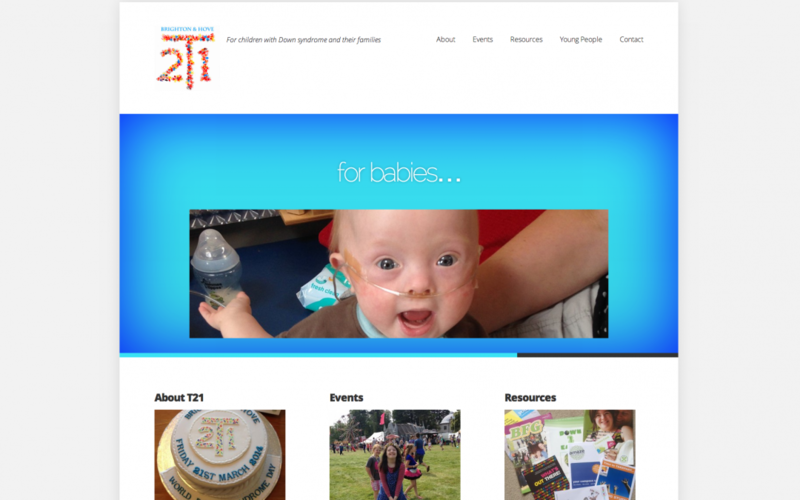 My latest project has been to develop a website for our local Down syndrome group. Simplicity was key as all involved in the group are parents of disabled children and no one has the time to spend hours updating the website! Intended as an introduction to the group with a list of events and resources that families can access and a way to get in touch with other parents and carers.